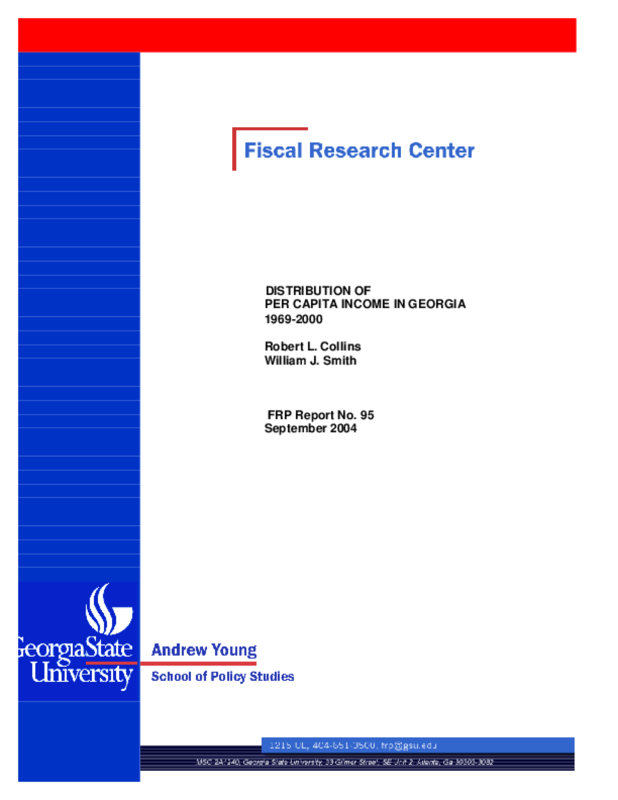 Since the mid 1980s, the state of Georgia has been popularly characterized as consisting of two (or more) distinct economies or economic regions, the Atlanta Region and the remainder of the state. Since the appearance of the term "two Georgias" in the local lexicon, policy makers have attempted to address problems associated with the perception that Atlanta and its surrounding counties are experiencing tremendous economic growth, while the remainder of the state languishes. Because the quality and quantity of local public services are determined, in part, by local economic activity, concerns have been raised about the existence of two Georgias and how such an economic partition might affect the distribution of revenue generating capacity among counties across the state.